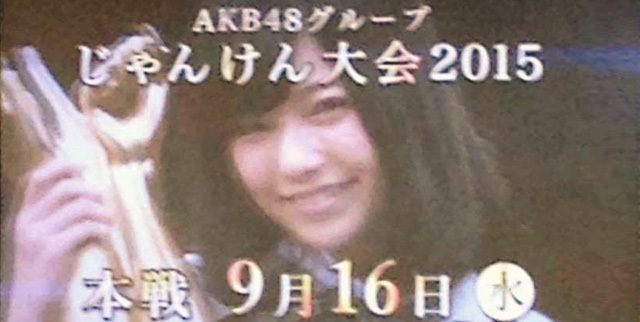 The 6th AKB48 group Janken Tournament will be held in Yokohama Arena on 16 September 2015, the prize for the Tournament winner will be solo debut. The preliminary tournaments will be held in Makuhari Messe on 16 August 2015. Janken Tournament is AKB48 group’s annual event since 2010, AKB48 group members participated in a bid by Janken (Rock Paper Scissors) game to win a solo debut (1st to 4th tournament's prize was CENTER of a single) for themselves. By all appearances, it will always look like Uchi was the only legit winner. The past winners make the contest look rigged. Hopefully some less popular girl wins. Just a recap of the interesting stuff that happened. Won't be talking about who beat who. Two absent members. Turned the scene into a girl battling against a manager holding a sketchbook. Unnecessarily thoroughly body searching the manager for cheating in the first pic. Sketchbook was surprisingly strong. Girls who lost... don't mind! Tani over-pushing Nao. Psychological warfare? 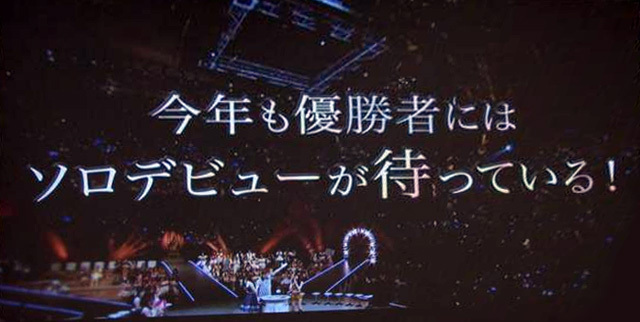 When Sasshi won, a certain crazy fangirl you might recognize in the audience was cheering for her. Fukagawa vs Anai. Sasshi telling Anai to use paper. Making both players not know what to do. Anai vs Tomiyoshi. Further evil Sasshi involvement. This time against Anai. And finally Ueno vs Lovetan. OK, THIS is psychological warfare! Actually. NMB continued on pretty normally. Oota Yuuri vs Kinoshita Momoka. Momoka didn't come so she challenged by phone. So it was basically Oota going against air. And I thought playing/losing against a sketchbook was weird. And finally ending with the dream match. Fujie Reina vs Umeda Ayaka! Awesome!! The KKS representatives put up a great fight too. It was pretty fun seeing how far they would get. Well I hope she gets better to perform for the long run than to suffer throughout just to "show up"
Too bad. Paruru's kawaii Creamy Mami cosplay was one of the highlights of last year. hope she gets better soon. here's the setup this year. - If Takamina and Sayanee both win first round. They'll fight each other! Again! - Koji Koji battle. Kojima Haruna vs Kojimako. - Shiroma Miru vs Shibuya Nagisa. NMB's hot girls. Maybe they'll both be in swimsuits. - Kashiwagi Yuki, Mutou Tomu and Kodama Haruka all in the same bracket~ One will live Two will fall! 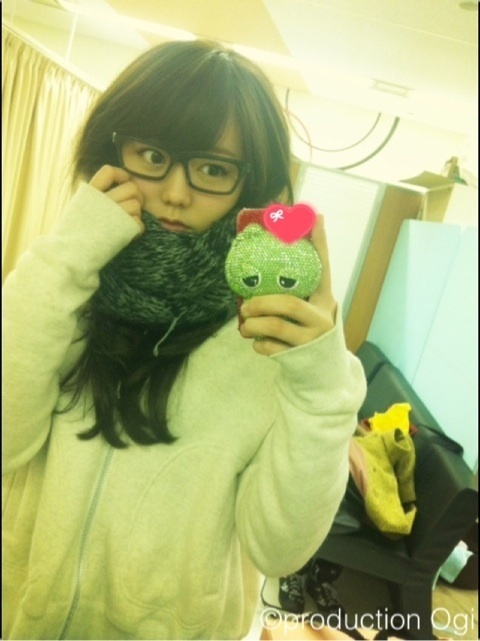 With Paru withdrawing, Fujita moves on I assume? Pic of those HKT'ers. Cos Natsu is gonna win. ^ i want natsu to win this too..
TokyoGirlsUpdate.com - Who will Be the Queen This Year? 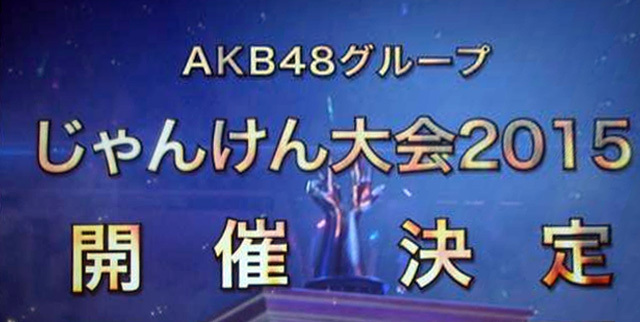 Matchup Announced for AKB48 6th Janken Tournament!